A bitter war is raging inside Turkey that pits Fetullah Gülen, the nominal head of a multi-billion dollar movement known as Cemaat, (The Movement in Turkish), against the President Recep Tayyip Erdogan and his political party, AKP. Gülen’s followers claim he is a great Islamist scholar though he never went beyond the fifth grade. His detractors call him leader of a cult similar to Scientology or an Islamic version of Opus Dei, which is intent on capturing vital state institutions in Turkey—the National Police, Judiciary and State Education Ministry, purge the traditional secular or Kemalist military, in short make a coup d’etat in the name of Islam. Since the summer of 2013 an open war has broken out between Islamist President Erdogan and his former electoral supporter, Gülen and Gülen-controlled movement including the widely-read Islamic conservative Zaman newspaper, the private Bank Asya bank, the Samanyolu TV television station. As I detail in my book, Amerikas Heiliger Krieg, Gülen’s movement also has a significant presence in Germany, often being supported by prominent German politicians for being “moderate.” What is never discussed openly in Turkey or beyond a few rare journalists in the West is the evidence that Fetullah Gülen is a project of the same circles in the American CIA who created Osama bin Laden and the Afghan Mujahideen terrorists during the 1980’s war against the Soviets there and later in Bosnia, Chechnya and beyond. The consequences of the hidden war raging inside Turkey will have enormous consequences well beyond Turkey. 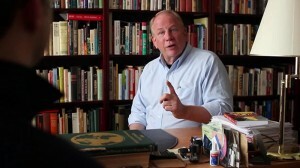 William Engdahl: I am a geopolitical researcher and author now for more than thirty years. My prime theme is geopolitics or how power is organized in our world by whom, to what aim. When I was invited to Turkey on a speaking tour for one of my books, a Turkish journalist who since has become a trusted friend suggested if I wanted to understand what was going on in Turkey, a country I have long considered to have a far more positive role than she has played within NATO, I should look deeply into the Gülen Cemaat. That began a long process as I began to realize the deeper agenda behind the façade of Rumi that Gülen and his people project. Our first knowledge about Gülen is, his struggle against communism via a foundation (which was a NATO agenda indeed). So could we say that Gülen and CIA relationship started long ago? William Engdahl: Yes, all evidence suggests that NATO Turkish Gladio networks picked up Gülen as a potentially useful asset years ago. As their agenda changed with the collapse of the Soviet Union, their role for Gülen changed as well and doors were opened for him to play that role. As it’s a very controversial subject, how do you certainly believe that Gülen and CIA work together? William Engdahl: This is not merely my view but that of very knowledgeable Turkish analysts and even the former Turkish MIT senior figure, Osman Nuri Gundes, former FBI Turkish-American translator Sibel Edmonds, and others have documented his deep links to very senior CIA people such as Graham Fuller. When Gülen fled Turkey to avoid prosecution for treason in 1998, he chose not to go to any of perhaps a dozen Islamic countries which could have offered him asylum. He chose instead the United States. He did so with the help of the CIA. The US State Department tried to block a special “preference visa as an alien of extraordinary ability in the field of education” permanent visa status for Gülen, arguing he was basically a fraud with a fifth grade education and no special Islam scholar. Over the objections of the FBI, of the US State Department and of the US Department of Homeland Security, three former CIA operatives intervened and managed to secure a Green Card and permanent US residency for Gülen. Intervention by three current or “former” CIA people–George Fidas, who was US Ambassador to Turkey and an ex CIA Deputy Director; Morton Abramowitz who was described as at least “informal” CIA, and CIA career man who spent time in Turkey, Graham E. Fuller. They got Gülen asylum in Saylorsburg, Pennsylvania. That certainly suggests a strong tie at the very least. Was the relationship between Gulen and CIA depended on both parties benefits? If so what were their benefits? How did CIA supported Gulen to develop and grow his foundation? William Engdahl: Yes, clearly. For the Gülen Cemaat it enabled a vast business empire to be created which gained more and more influence by placing its people inside the police, the courts and education ministry. He could build his recruiting schools across Central Asia with CIA support. In the USA and Europe, CIA-influenced media like CNN gave him beautiful free publicity to overcome opposition to open his schools across America. For the CIA it was one more tool to destroy not only an independent secular Kemalist Turkey, but to advance their Afghan drug trade worldwide and to use Gülen’s people to destabilize opponent regimes that CIA network in Washington, the “deep state” wanted to get rid of. 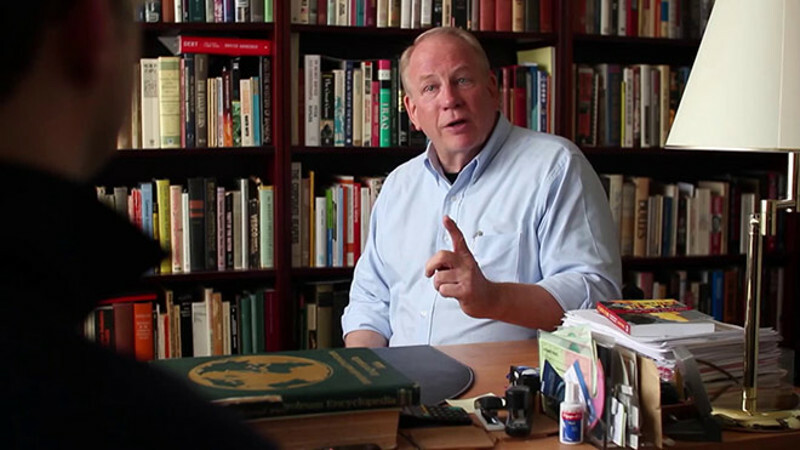 William Engdahl: First it should be noted that Russia moved swiftly to ban the Gülen schools when the CIA began the Chechyn terror in the 1990’s. In the 1980’s when the Iran-Contra scandal broke in Washington (a scheme authored by Fuller at CIA), he “retired” to work at the CIA and Pentagon-financed RAND think-tank. There, under RAND cover, Fuller was instrumental in developing the CIA strategy for building the Gülen Movement as a geopolitical force to penetrate former Soviet Central Asia. Among his RAND papers, Fuller wrote studies on Islamic fundamentalism in Turkey, in Sudan, in Afghanistan, Pakistan and Algeria. His books praise Gülen lavishly. Gulen migrated from Turkey to USA at 1999, 3 days after Kurdish movement leader Abdullah Ocalan was kidnapped and brought to Turkey. What did it mean? Could Gulen co-operate better with CIA when he moved USA? William Engdahl: I think the CIA feared Gülen would end in prison and could be far more useful in US sanctuary where they could feed his image better and pump up his aura. Now clearly Gülen fears to return to Turkey even though he legally could. That says a lot. William Engdahl: That would require a much longer discussion. What I find interesting is how a deep and now bitter split has emerged between Gülen Cemaat in Turkey and President Recep Tayyip Erdoğan. I believe Erdogan began to pursue his own agenda and that came in collision with that of the CIA and State Department for Turkey in the larger world. Turkish government, Erdogan’s AKP is currently running a huge police operation against Gülen members within justice and police organisations. On the other hand, the public sceptical about these operations as AKP and Gülen were also allies before the November 17th corruption scandal occured. So could we say that AKP, Tayyip Erdogan and CIA were also allies once? William Engdahl: Turkey is a NATO member so no Turkish government is permitted for long if it tries to be independent of NATO, i.e. Washington, as you know. When Erdogan began going his own way, the US networks began to demonize him in media worldwide, and Gülen media attacked him fiercely. I believe the split between Erdogan and Gülen went long before Nov. 17 scandals. Who was behind the leaking of those accusations? What was US Ambassador Francis Ricciardone doing in that regard? Interesting questions for someone. Also recall that the scandal was that Erdogan was secretly helping Iran evade US economic sanctions. Washington would have a clear interest in stopping the Erdogan-Iran dealings. You say that CIA is at the Gulen’s side on their fight against AKP. What could CIA do to stop Erdogan and AKP? William Engdahl: My opinion is that was what the scandals were for, to try to prevent Erdogan’s election as President but they failed. Keep in mind the “scandal” was about how Erdogan allegedly violated US oil sanctions against Iran, so the scandals were intended to break that trade, a Washington goal. William Engdahl: I believe that Turkey today can play a very positive role in a new world that is emerging to replace the world of CIA wars, terror and chaos. Turkey is a geopolitical crossroads which has the possibility to play a very positive role in the emerging Eurasian system of China and Russia, the Shanghai Cooperation Organization in building energy and rail infrastructure. By herself, Turkey will be isolated and broken as Ukraine by the same people. In a principled economic and political alliance with Russia and China, she can play a pivot role in building a new world free of the debt of the collapsing Dollar System that also included the stagnating Europe. Turkey has a beautiful opportunity to partner with Russia and change the world power balance. It will require a lot of will. But if done in a good open way, Turkey could enjoy a prosperity as never before and be a genuine “good neighbor.” Turkey and the people of Turkey in my opinion deserve better than they are getting.